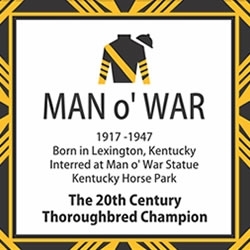 Man o’ War, the 20th Century Thoroughbred Champion born and bred in Kentucky, comes to life in this special design that shows his nobility, strength and power. The circle measures 7/8″ in diameter and comes on a 16″, 18″ or 20″ sterling silver snake chain with lobster clasp. Available in 14k gold on request. Arrives in a gift box with pouch and commemorative card. 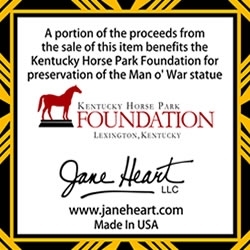 A portion of the proceeds benefits the Kentucky Horse Park Foundation for the preservation of his statue. Click Press Releases on the Home page at the top to read about this incredible horse. 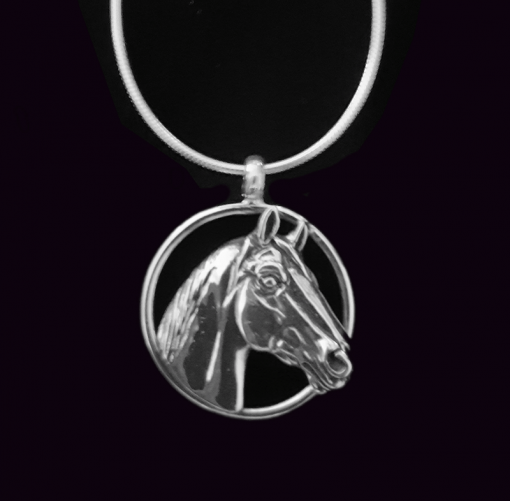 Be one of the first to order this collector’s design with Man o’ War’s name on the back! 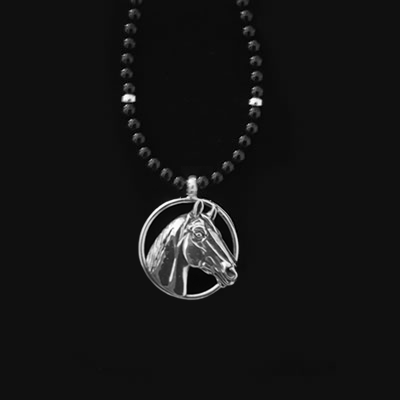 Man o’ War, the 20th Century Thoroughbred Champion born and bred in Kentucky, comes to life in this special design that shows his nobility, strength and power. The circle measures 7/8″ in diameter and comes on a 16″, 18″ or 20″ sterling silver snake chain with lobster clasp. Available in 14k gold on request. Arrives in a gift box with pouch and commemorative card. A portion of the proceeds benefits the Kentucky Horse Park Foundation for the preservation of his statue. Click Press Releases on the Home page at the top to read about this incredible horse. 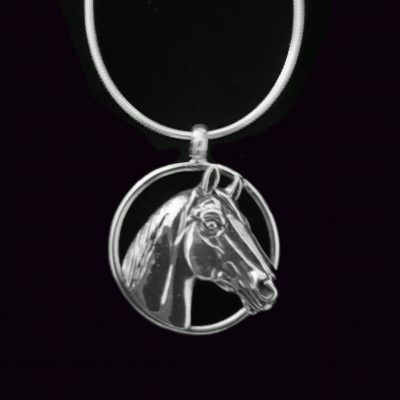 Order this collector’s design with Man o’ War’s name on the back!